Lauren Jauregui has been "exploring" different sounds as she's been working on her debut solo album. 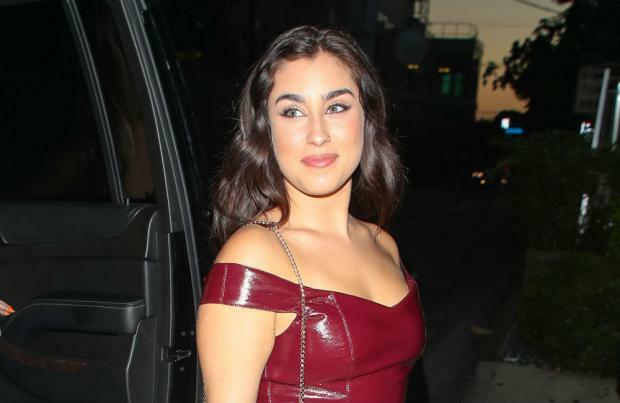 The 22-year-old singer – who is best known for starring in Fifth Harmony – has recently been busy working on her new material and Lauren has given her fans an insight into her creative process. She explained: "I've just been kind of exploring. I'm letting it be as organic as possible. She told 'Entertainment Tonight': "I'm gravitating a lot towards guitar, more towards alternative mixed with R&B sounds, so it's kind of like, in that realm. But I'm not really 100 percent set on any tone yet." Despite her uncertainty, Lauren feels like it's currently a great time to be a woman working in the music business. She explained: "It's an incredible time in music. "I feel like a lot of women in music are really connecting with themselves and expressing themselves and kind of just giving their all in music." Meanwhile, Camila Cabello recently revealed she is "in a good place" with Fifth Harmony. The chart-topping singer quit the band in December 2016 amid reports of tension between her and the other members – but almost two years later, Camila insisted her relationship with Normani Kordei, Ally Brooke, Dinah Jane and Lauren is now much better than it was. She said: "I just don't like beefs or drama. I feel like we're in a really good place right now, me and the girls."